Following Rangers these days is most definitely a full-time job. Indeed, sometime around the third occasion when Paul Murray’s Blue Knights pulled out of the bidding to purchase the club, it became clear you could quite effortlessly write a dissertation on Rangers, and a rather lengthy one at that. The last few months have been as complicated and unfortunately almost as frustrating as those dark days and so you could perhaps forgive our dear old friends at the Scottish Football Association for thinking they could sneak in under the radar, quietly undetected, with yet another mess of their own making. Despite a recommendation from UEFA – a recommendation followed by England and other European FAs - Scotland’s transfer window will close at 11pm on Saturday night. UEFA rather sensibly suggested that an extension was granted to Monday night to avoid the window closing on a ‘non-working’ day. The SFA however have decided that, in their infinite wisdom, Saturday is now a regular working day, an interesting view for a bunch of men who seem to work one day per week, not six. It is the latest in a long line of bizarre and baffling decisions from our shambles of a governing body and yet again, perhaps somewhat predictably, the goal seems to be only to try and get one over on Rangers. In previous years when the window closed on a weekend it has been extended into September, in line with England and other countries, and the decision not to do so this time has angered several SPFL clubs and their supporters, a few of which have already spoken out about the decision. Despite their previous actions, despite the recommendation from UEFA, despite England making the change (we are ripping off their league structure but not their working week it seems) and despite the concern from their own clubs the SFA have chosen to stick with the Saturday closing date for one reason and one reason only, and it’s certainly not because they have a meeting scheduled on a Saturday anytime soon. The SFA seem worried that if the window is extended that Rangers will run out and buy a bunch of players and make (more of) a mockery of their illegal transfer ban. This and this alone is the reason they are willing to make things difficult for the other 41 clubs in the country and you have to wonder why we are still tolerating this sort of thing from our Football Association who seem to think the word ‘precedent’ is nothing more than a typo. Rangers have signed eight players on pre-contract deals and have some pretty well documented financial problems at the moment, if you believe our financial director that is. The club has enough players to field three entirely different starting XIs and the only concern for Ally McCoist in the next two days should be players going out, not coming in. But the SFA and Stewart Regan won’t take the risk. 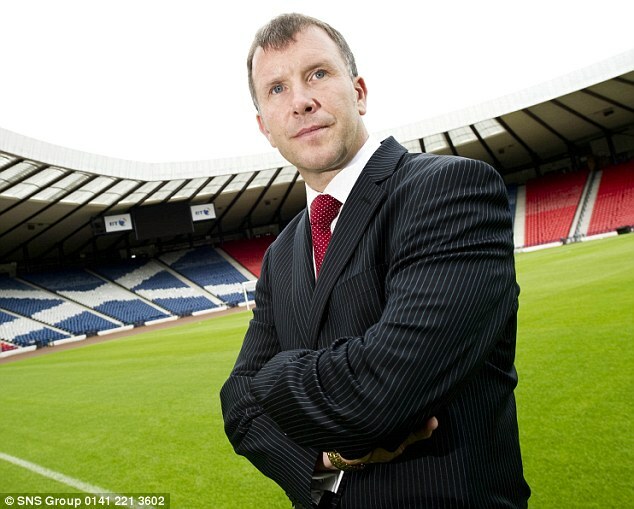 They don’t want to be seen as fools if Rangers flaunt the embargo by signing players on the final day, although if you ask me Stewart Regan trying not to look foolish is very much like padlocking the gate once the horse has bolted. Regan was correctly on the brink of a vote of no confidence 16 months ago but yet still he managed to cling on, an achievement he somehow seems to replicate every time a crisis of his own making engulfs Scottish football. So here we are again with history repeating itself – the SFA and Stewart Regan giving vague and plainly false answers that only serves to inflame the situation rather than resolve it. The SFA have cut off other clubs’ noses to spite Rangers’ face and it’s about time it stopped. We as a club and as a collective fan-base have been told to move on and ‘get over it’ for the better part of a year now but this bizarre decision impacts on all member clubs, you know, the ones the governing body are supposed to look out for. Sooner or later the civil war at Ibrox will be over and the Club will be free to turn its attentions back to dealing with its many outward enemies, however if Stewart Regan is still in a job by then it would appear that we will be fighting that particular battle on our own. Fans of the other 41 clubs need to realise that the SFA in its current guise, and indeed its CEO, aren’t just an enemy to Rangers but an enemy to all of Scottish football. There is an endless list of half-baked decision and backwards logic which seems to grow on a daily basis, Saturdays included now apparently. Scottish football had more than its fair share of the Regan administration almost two years ago, so why is this man still in a job? The SFA works for the clubs, not the other way round. It’s time they were taken to task and reminded of that fact, not just by Rangers but by all clubs. The sooner our FA is working for us and not against us, the sooner Scottish football can move on and enjoy a more prosperous future. We can but dream.